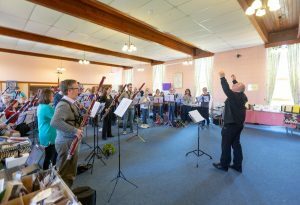 Saturday May 4th is the BDRS Double Reed Day in Wickham, Hampshire PO17 5HA – Come and meet our two Double Reed Day guests talking about historical instruments, as well as all the other double reed day music making activities, networking and shopping opportunities to be had! 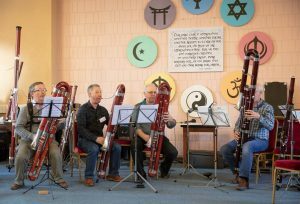 Meet David Chatterton and the early bassoons, pictured with this enormous contrabassoon – an amazing instrument (photo above from April 2015) and David is fascinating to listen to! 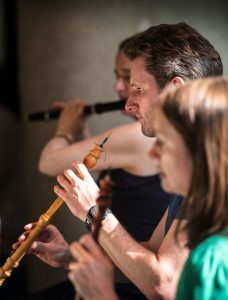 We also look forward to hearing from Joel Raymond to demonstrate the baroque oboe and tell us about how they are made (Photo © Graham Salter, BridgemanImages.com) Joel has played with the Oxford Bach Soloists, the Hanover Band, the Orchestra of the Age of Enlightenment and the Gabrieli Consort as well as playing abroad. 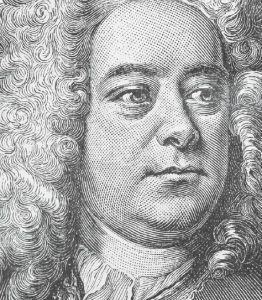 We are also planning to run the Handel ‘Musick For The Royal Fireworks’ again, in a double reed version (without brass). There are ple nty of other activities to get involved in, or inspired by. All ages and abilities are welcome! There will also be several trade stands for you to visit during the day with instruments to try/buy, music publications, reeds and accessories, and double reed literature. It’s not too late to sign up and we look forward to seeing you, whether you are a member or not, for this exciting and inspirational day of all things Double Reed. We have heard from Phil Westwell who has taken some interesting slow motion photography of an uilleann bagpipe chanter double reed, there is a link below to the film on YouTube. It makes for interesting viewing. If anyone has any questions for Phil, our Secretary can put you in contact. 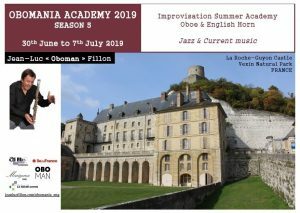 2019 sees the 5th season of the “Obomania Academy”, academy of improvisation in Jazz and Current Music, for Oboists and Cor Anglais players. It takes place in La Roche-Guyon Castle, France, from the 30th of June to the 7th of July 2019. The London Handel Festival is offering BDRS members a discount on group bookings for their concerts. 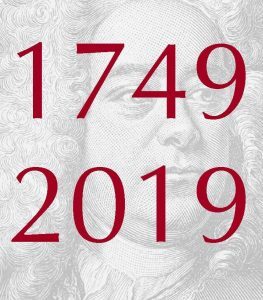 Their programme can be found here https://www.london-handel-festival.com/ and they are pleased to offer our members 50% off on LHF lunchtime recitals for groups of 5 or more, and 10% off selected LHF evening concerts (subject to availability) for groups of 10 or more. The lead booker needs to provide their membership number. If you would like to know more please contact the BDRS Secretary with your membership number and we will put you in touch with the Festival Administrator to reserve places.